He doesn't like treading on well-known grounds: Fetisch witnessed the beginnings of club culture, and he was there when House and Techno started to blossom. As an early adopter, he simply doesn't see the benefit of rehashing what has gone before, but wants to move forward, seizing the future he was promised in the days of yore by the likes of Larry Levan, Grandmaster Flash, Ron Hardy or Lee Perry. Whether teen punk, Hip Hop's first European trainee or House DJ in the most legendary booths of the late 80es, Fetisch inhaled the glamour of the night and learned the tricks of the trade from those who knew it best. Originally conceived in 1996, Terranova became Fetisch's go-to project to explore new club territory and collaborate with like-minded people, building his own cult following ever since. 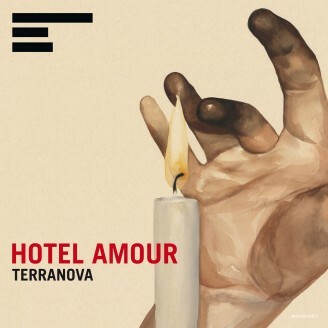 KOMPAKT truly feels honored to be the home to an artist drawing on such a rich background in club culture, especially with new album HOTEL AMOUR being readied for actual world dominance. But whoever wants to conquer the world has to get there first. With much of the album's ideas conceived on a night train between Berlin and Paris (Fetisch's second home), these tracks certainly share their creators' wanderlust, never settling in one place, but staying eager with new rhythmic landscapes (and hotel rooms). Together with Berlin's house staple and Terranova fellow &ME (a member of the act since 2007), they pours new wine in the old bottles of dance's dramaturgy, respecting he formula, but not necessarily sticking to it. Heavy bouncing bassdrums fuse with juicy synths, high-precision sequencing rules the frequency range, and an armada of guest vocalists bring their own brand of seduction to the fore: Whomadewho's Thomas Hoffding, husky-voiced Billie Ray Martin, eternal globetrotter Snax, German underground celebrity Udo Kier, acclaimed actress Nicolette Krebitz as well as the one and only Khan, all lend their voices to the album. Their tale is equally one of excessive hope, fragile glamour and the crippled beauty of the downfall, but above all it is concerned with unconditional love for the music. Like German grandmaster Westbam once said: We never stop living this way. Terranova AKA: FETISCH / &ME is an electronic dance music duo by DJs/producers Fetisch, &ME, based between Berlin and Paris. With a strong sense of punk and coming from a hip hop point of view, Fetisch spent his teenage nights at New York's legendary Mudd Club, Roxy and Paradise Garage. His career was launched spinning records at NY mainstays Danceteria and Tunnel, followed by an infamous first recording "Axis" in 1990 with the Stereo MCs released on Geest/Warlock Records. As this was the heyday of rave, he also could be regularly found DJing at illegal warehouse parties and at London's infamous Wag Club. Having moved back to Berlin in the mid '90's, Fetisch formed Terranova in 1996 as a project with shifting members and various vocalists to create a blend of electronica, house, hiphop and punk. Terranova's first compilation was released as a part of the now legendary !K7 DJ Kicks series, they also stayed on with the label releasing the massively acclaimed 1999 debut album "Close The Door" which was recorded at Connie Planck's Cologne studio. The same landmark studio where Bowie recorded and Kraftwerk launched their career. The list of contributors and collaborators with Terranova is rich and vast. They have worked with Manuel Göttsching ('Tokyo Tower'), Ari-up (The Slits), Tricky, Mike Ladd, Kaos, Cath Coffey and Princess Superstar amongst others. Terranova has been released through iconic dance labels such as Ministry of Sound, DJ Hells Gigolo Records, Compost,Island Records and !K7. After teaming up with &ME (the Ghanian DJ and founder of Keinemusik) in 2007, he signed with the famous imprint Kompakt from Cologne, the secret capital of German electronica. 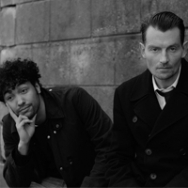 Following two massively received club singles "So Strong" and "I Want To Go Out", 2012 sees the release of their full length "Hotel Amour"- a blend of deep house, pop and electronica - which features the likes of Khan, Snax, Tomas Hoffding of Whomadewho, Billie Ray Martin, Nicolette Krebitz and actor legend Udo Kier. Fetisch continues on his work with &ME, now a solid member of Terranova and their notorious famed act, The Lottergirls. They have also written and produced soundtracks for movies and Theatre, and a long list of remixes for groups as diverse as New Order, Roxy Music, Fisherspooner, Ennio Morricone, Gui Boratto... even Herbert Groenemeyer!